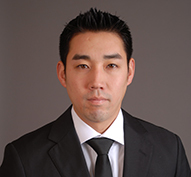 Gibson Dunn | Iwahashi, Ryan K.
​Ryan Iwahashi is an associate in the Palo Alto office of Gibson, Dunn & Crutcher and is a member of the firm’s Litigation department. His practice focuses on intellectual property litigation and he has experience in a range of technologies, including software, consumer electronics and medical devices. Mr. Iwahashi was a law clerk for Judge Kathleen O’Malley of the United States Court of Appeals for the Federal Circuit from 2014 to 2015. He was also an associate at the firm prior to his clerkship. Mr. Iwahashi earned his Juris Doctor degree from the University of California, Berkeley School of Law, where he served as a supervising editor of the Berkeley Technology Law Journal. He received his Masters of Science and his Bachelor of Science degrees in computer science from the University of California, Davis. He is a member of the State Bar of California, the Eastern District of Texas and the Federal Circuit. Mr. Iwahashi is also registered to practice before the United States Patent and Trademark Office.